I am excited to share with you what I have been reading this week and what I plan to read next week. I am using my friends Jen and Kellee’s awesome meme idea. Please check out their amazing blog Teach Mentor Texts. 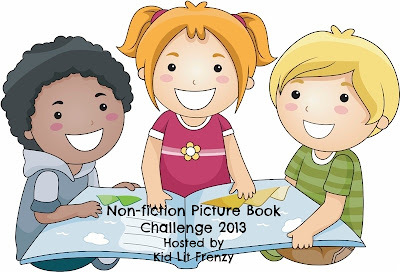 I am continuing to enjoy reading non-fiction picture books for the Non-Fiction Picture Book Challenge. It is hosted by Alyson Beecher at her amazing blog Kid Lit Frenzy! Can you spot the excellent nonfiction picture book in the books I read this week? BOOKS I READ THIS WEEK! Please look for these amazing titles at your local library! I want to start off by saying I am not a sports person. Let me repeat that- I am not very interested in sports. So I was very surprised and excited when I loved this book. I found myself getting really attached the Acerra brothers. I was rooting for them through out the story. If you have a baseball fan in your family or just a person who loves great picture books give them this book to read. Don’t be surprised if they tell you that this book knocked it out of the park. I am giving Brothers at Bat 5 or is that 12 home runs! A real winner of a book! I’ve mentioned that my book gap is nonfiction books. But I also didn’t read many poetry books last year either. So I am also reading more poetry this year. I really enjoyed the hilariously unkind poems by Gail Carson Levine which were all told from a tricksters point of view. The false apology poems are based on the poem This Is Just to Say by William Carlos Williams. I can’t wait to share these poems with my students when we are working on poetry and also fairy tales. The kids are going to love the poems and the laugh out loud illustrations. Forgive me, but I am giving Forgive Me, I Meant to Do It 5 missing plums out of 5. 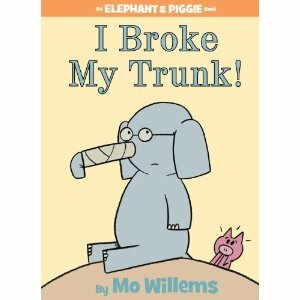 When I showed this book to my four year old son Sam and read him the title he said, “How did he break his trunk?” I said, “Great Question! Let’s find out!” My son and I love the Elephant and Piggie books. I know that we are going to laugh out loud together each time we read one. Mo Willems= Super Picture Book Genius! I am giving I Broke My Trunk 5 Pigeons Riding a Bus out of 5! A BOOK I AM STILL READING! I am currently reading an advanced reader’s copy of The Runaway King. I loved The False Prince! I am enjoying the second book in the series. So what are you reading this week? What do you think of the Elephant and Piggie books? What are your book gaps? Have you read any books you love lately? I’m looking forward to reading your comments. This entry was posted in It's Monday! What Are You Reading? and tagged Brothers at Bat, Forgive Me I Meant to Do It, I Broke My Trunk, Mo Willems, The Runaway King. Bookmark the permalink. 18 Responses to It’s Monday! What Are You Reading? Heard about Brothers at Bat so many times now! Shall be investigating soon… I just loved Forgive Me… so hilarious. I also was enamored with a book called This is Just to Say partnering last year with Forgive me… http://www.amazon.com/This-Just-Say-Apology-Forgiveness/dp/0618616802 Happy Reading! Oh, I didn’t realize that sequel to The False Prince was released! Will put that on the library list. I also can’t wait to read the false apology poems. I’ve heard so much about the book and I think it will make for a fun writing piece too. I’d like to see how I could perhaps weave it into an actual apology speech (politics or history) and compare the language… still thinking about that though. Your false apology idea sounds cool. 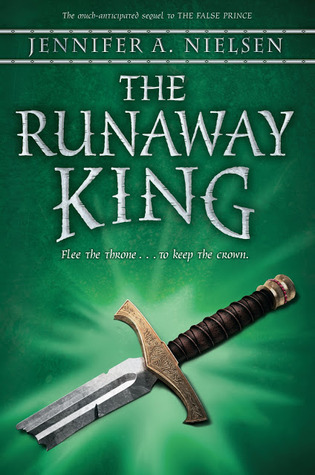 The Runaway King comes out March 1st. I was able to get an ARC. Happy Reading! I LOVED Brother at Bat and nominated it for my state award list for 2012. Poetry is a bookgap for me also. The false apology poems look hilarious! Thanks! I really enjoyed both books! I am going to share the false apology poems book when we do our genre study on fairy tales. Many of the poems are from the point of view of a character in a famous fairy tale. I see you’re looking for some great poetry recommendations!? Well, here are some of my faves of late: Nest, Nook & Cranny (great for biomes, 2010) I Am the Book (2011) What’s for Dinner (food chain, gross out factor, funny, 2011) Water Sings Blue: Ocean Poems (2012) National Geographic Book of Animal Poetry (2012). I too am always looking for great poetry collections! Wow! Thanks for all the great poetry book recommendations! I have the National Geographic Book of Animal Poetry in my TBR and I will be sure to add the rest. 🙂 I love the video of Mo and I am going to show it to my class too. My four year old son and my second graders love his books. Thank you! I love the video! Great idea to share during snack time!! 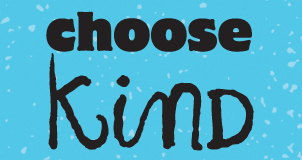 Going to share this week! Thanks! Nicole- New tradition- Book trailers during snack time! 🙂 My students loved the one you shared with me! So thank you! Enjoyed your post today! Just finished The Runaway King this morning!! Loved it just as much as The False Prince! Now I can’t wait until the 3rd one! Thank you Shawna! 🙂 I can’t wait to finish The Runaway King! I am reading it slowly because of school….and I have people waiting in line to read it. 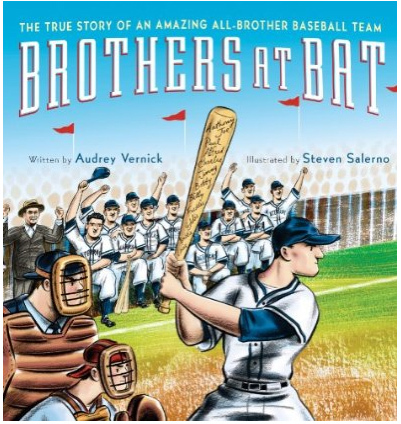 I love Brothers at Bat too and I am not a baseball fan in the slightest. You should check out Audrey’s other books. She is a master picture book writer. I love everything she writes. While I wasn’t a huge fan of Forgive Me, I Meant to Do It, I love what a great mentor text it is for kids to write their own false apology poems. My students had tons of fun doing that last year and will definitely do it again this year. We have been giving quite a lot of love on the Elephant and Piggie Book series by Mo Willems – simply hands-down brilliant. Love them. I don’t think we’ve read this title though. I’ve been seeing the false apology poems for quite awhile now, and I’ve been meaning to get my hands on it, sounds like a fun book that kids would enjoy. Have a great reading week!